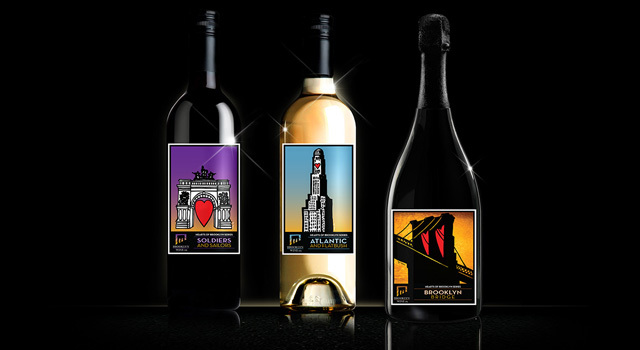 Red White and Bubbly’s Adam Goldstein hired ERA404 to design the labels for three new wines: The Hearts of Brooklyn Series. ERA404 previously designed the packaging for Brooklyn Wine Company’s Feliz Label Collection and Sparkling White, Altamira’s Sangiovese, and for Pangea’s Sparkling Natural Spring Water. Illustration for the new pieces was provided by Ryan Seslow. The designs have been applied to packaging, posters, and billboards around Brooklyn. Beautiful work, Don. The artistry you command demands respect. Well done!